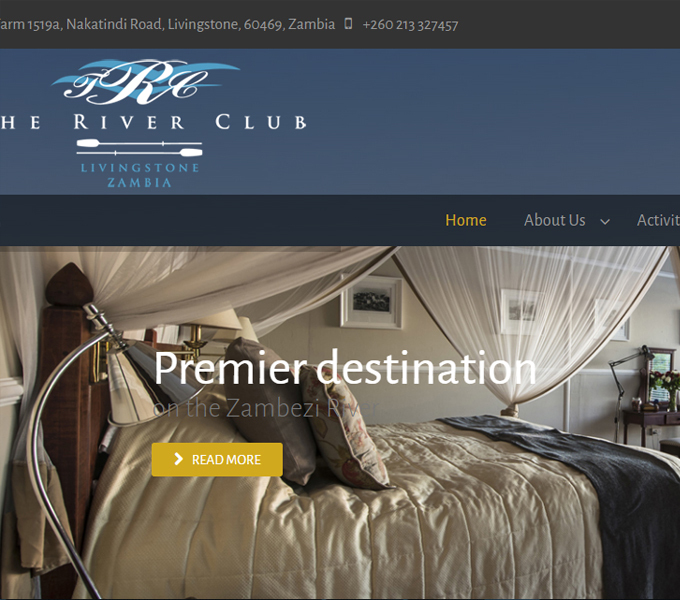 The River Club is Livingstone’s Premier destination on the Zambezi River. Voted by Travel and Leisure Magazine 2010 it is ranked in the Top 3 lodges in Zambia, in the Top 50 in Southern Africa and amongst the top 500 Hotels in the World. The lodge won the Heritage and Culture Award 2009 given by the Zambia Tourism Board for all the work undertaken in these areas within the Livingstone region. It is a proud member of Wilderness Safaris and part of the ECO LUXURY group of lodges around the world.